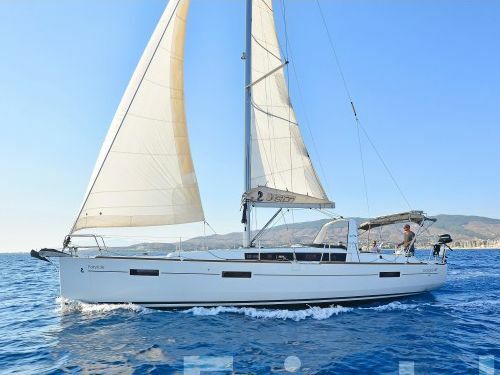 Looking to sail from Kos? Search to find and book your ideal boat, or read everything you need to know: prevailing winds, where to sail, how to get there and more! 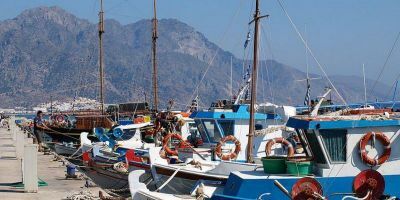 Kos is an outstanding place to sail - it has glorious sunshine and good, reliably strong winds, together with the beautiful Dodecanese islands to explore - with it's cute fishing villages, secluded beaches, cliffs and caves, and picturesque sunsets. Large chunks of the islands are completely undeveloped, so they'll be the exact same views as when the Ancient Greeks were here thousands of years ago. From Kos, you could head South and sail to Rhodes, with its medieval castles and crusading knights, or North to take in the Sponge-diving community at Kalymnos, the Italian WWII military base at Leros, or the cave where St John wrote the Bibles' Book of Revelation in isolated Patmos. There's something for everyone - charter today! The Dodecanese islands offer an excellent (and beautiful) playground for a sailor. There are tens of islands to explore, and there is something for everyone - from secluded bays, to small seemingly forgotten towns like Leros, to Kalymnos (famous for producing the best sponge divers in the world) and the colossal historic tourist town of Rhodes. Once the home of the world’s best free-divers and natural sponge collectors, now a delightful tourist town for sailors (and rock climbers, who scale the rugged terrain) with a super chilled atmosphere. An island with a bloody history, the town of Lakki was a naval base for the Italians in WWII and is a grand and elegant town, complete with imperial palaces and military fortresses to explore. Pilgrims from around the world come to Patmos to see where part of the Bible was written by St John, but Patmos is also home to a typical Greek fishing village - complete with white-washed houses, crystal-clear waters and fine beaches. There’s plenty of options regarding where to sail from Kos, but people typically sail either North around Leros or South to Rhodes. There’s all sort of customs and border issues involved in sailing from Greece to Turkey, which means that though you’ll be able to see or even smell some fun-looking towns on the horizon, it’s probably better to sail on by. This itinerary heads North, to the more remote and unspoilt islands up there, but if you wanted to read more about heading south, then check out our Rhodes destination guide, which has an itinerary which covers that area. In total, this itinerary is 108 nautical miles (or nM), which is long enough to do some serious sailing, but short enough to feel leisurely and to give you time to explore before, after or during sailing each leg. 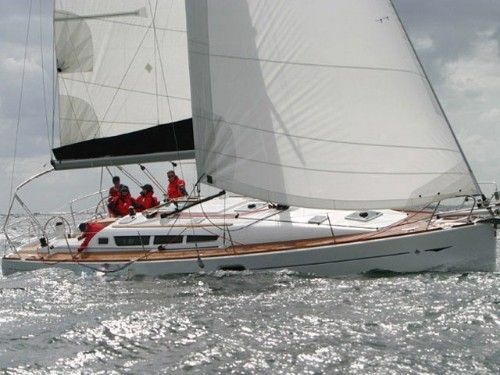 Most yachts average at least five to six knots, and with an average sailing distance of under 20 nM, that means you’ll be sailing for about four hours a day, depending upon how slick your crew operates. That leaves time for leisurely breakfasts, long lunches, short walks, or for nosing into bays en-route for a swim. This is a six day itinerary on the basis that after checking in and getting food, drink and other provisions on board, you likely won’t be able to do any significant sailing on the Saturday you arrive, and you’ll have to return the yacht to Kos for Friday night (but will be able to sleep on it for the night), so you’ll likely only have six days of sailing. Check that everyone and everything you need for the week is on-board, then let’s get ready to set sail, Captain! Fire up the motors and let’s ease our way out of the marina. Nicely does it. From Kos, you’ll need to bear North past the old town, and then pretty much due West, keeping the coastline of Kos on your port side, and most likely reaching your sails across the prevailing winds, which should be arriving from the North-west, and hitting the right hand side of your face as you make your way out and along Kos and past the island of Pserimos. The rugged mountainous island just off the nose of the boat on your starboard side is Kalymnos, where we’re spending the first night. It was originally famous for having the best sponge divers in the world (and they were sent around the world to free-dive and collect live sponges by hand), but after disease killed much of the local sponge a couple of decades ago, it is now just as famous for being important in the world of rock-climbing, and people come from all over the world to test themselves on those there walls of rock. Kalymnos is a cute tourist town, and you won’t have to walk far from your boat to get your hands on some local sponge or their delicious local honey (infused with thyme, oregano and sage, all grown on the hills around the island). Enjoy the change in the pace of life here – it will feel a light years away from the normal hustle and bustle and the world of work. From Kalymnos, we’re beating up the prevailing summer wind to the next island to the North, Leros, an island which has curiously been a massively important island in the Mediterranean historically – in Lakki, it has the largest deep-water harbour in the Mediterranean, and has been fought over by Romans, Greeks, Venetians, Ottomans, Knights of the crusade, Italians, and Germans (amongst many others). Nowadays it is back to being a remote Greek island, but there are signs of the bloody history – from a medieval castle on a hilltop, Mussolini’s summer palace (which he ordered to be built after Lakki was used as Italy’s biggest naval base outside Italy, and seeing how beautiful the island was), and the clock tower, which ominously stopped ticking at the precise moment when the town was bombed by the Germans in World War two. Indeed, Leros was the second-most bombed island in the war (after Crete), and some big, big ships are below the water-line in or around Lakki harbour (as a result of the centuries of war, the area is very popular with divers). But Leros is also an ancient island, and was once the hunting ground of Artemis, the daughter of Zeus himself, and the goddess of animals and the wilderness. Leros used to be a place where legend tells us she used to hunt deer. Lakki town itself is a grand and elegant town, with a good selection of shops, and tavernas selling the freshest fish you can imagine. Continuing to beat into the prevailing summer wind, we’re sailing upwards to the island of Patmos. Bathing at the quirky island of Chiliomodi, with its remote church, on the way if you have time. The yacht marina is located on the starboard or northern side of the bay when you get there, and you’ll get a good view of the town centre of Skala as you sail past. Having seen the climbing enthusiasts of Kalymnos, and the divers of Leros, the island of Patmos is a major pilgrimage destination – St John lived in a cave on the island when he was living in exile and it was here that he heard the voice of God and wrote the book of revelation for the Bible. The Cave of Revelation or Cave of the Apocalypse is only a few kilometres out of town and is supposed to be an incredibly moving place to visit. If you like ancient history, then check out the acropolis of Kastelli above Skala (it’s mainly ruins, but you get a good view of the town from the hilltop). Skala town itself started as five or six grand holiday homes for a bunch of super-rich families, but has developed through the years to become a welcoming haven for tourists, with some beautiful waterfront bars and cafes. It’s only a short hop in an Easterly direction from Patmos to Lipsi, which means that you should have time to get stocked up again on food and drink if you need to – we're heading to a small village which is largely unspoilt by such things as tourism and big shops, so it’s worth getting some basics in, just in case you can’t buy them in Lipsi. With the prevailing wind, you’ll likely be able to get from Patmos to Lipsi in one straight broad reach, so, after a couple of days of tacking, you can let your crew rest easy for much of the day, and they can enjoy the sunshine. Lipsi is off the beaten track, so it is about as remote and unspoilt as you can get. It used to be a place you could only reach if you had your own boat, but the land-lubbers are catching up and there’s now daily ferries from Leros, as well as a small amount of tourist accommodation. People mainly come for the crystal-clear waters and the secluded and beautiful beaches (which used to have a reputation for being popular with naturists, but not so much these days). After a short day yesterday and a relaxing and serene night in Lipsi, hopefully your crew are ready for the longest day of sailing of this itinerary. 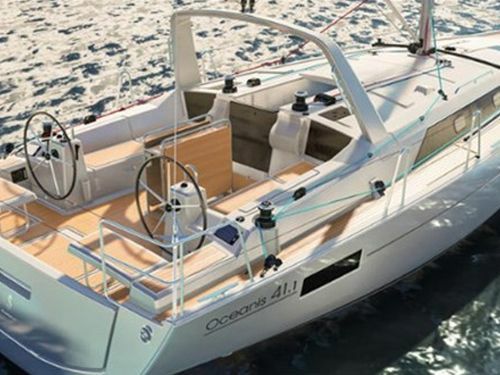 At 26 nM, it’s not actually too long a day, but it will be a longer time spent on board and your speed might also depend upon how well you can run with the wind. The prevailing summer wind should be behind you for most of the day, and you get bonus points for throwing in a bit of goose-winging. We’re essentially heading down the back-side of Leros and Kalymnos, so you’ll have seen all there is to see of those islands. If you get an early start, you might even be able to visit the dusty town of Agia Marina or the beaches of Alinda or Sykate on the way, but just enjoy the terrain, sunshine and the gentle lapping of the sea against the hull of the boat as you continue South-west down the coast. You’ll need to sail up the small bay or channel to get up to Vathi, which looks like a super-small village, but it extends right down the valley for another couple of kilometres from the marina, and includes a monastery as well as an abundance of farmland, where they cultivate forests of citrus trees. There’s a number of very welcoming tavernas here. And so to the final leg, which sure has come around quickly – but don’t get downhearted, there’s still a good day of sailing ahead of us to enjoy! From Vathi, we’re heading out East and over Pserimos (though do poke your nose into the bay at the top of Pserimos if you have the time or the inclination – odds are you won’t meet anyone else there) and then South-east and back to the base at Kos. The prevailing wind will likely be behind you, and the helm will feel it on the back of their head as Kos comes round the corner and into view. You get a brilliant view of Kos as you go past, and now is a good time to try and get a team photo if you haven’t already got one. Now is also a good time to reflect on what a great week you’ve had. Hopefully you’ve really enjoyed it and the crew have all been brilliant, you’ve been impressed by the things you’ve seen, you’ve eaten heartily, drunk sensibly enough, and are returning back home with even better friends that you arrived with. Once you’re in Kos, you’ll need to head to the refuelling dock to fill up the fuel tanks before you return the boat to the same sort of area where you found her. 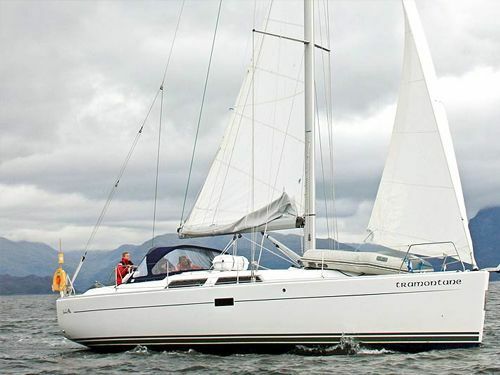 Our yacht charter partner will come and inspect the boat (so that they can be sure to have it ready for the next group of sailors who will take her out), but you can stay on the boat for the night. If you haven’t yet explored Kos, then now is a great time to get out there and check out the city – it’s full of history, and a great place to explore with an ice cream in your hand. It should also be fairly lively as lots of holiday-makers will be spending their last night on the island (including a fair few sailors). And then you’re off. Have a safe flight, and, when you’re downloading your photos, come and have a look at PlainSailing.com to read other destination guides and to start planning your next voyage! People come to Kos for the sunshine, so it should be no surprise to hear that it can get pretty toasty, particularly in the height of summer. Even in winter the temperature never drops much below fifteen degrees, which means that most Koans (people who live in Kos) don’t even have thick woolly jumpers or coats. Kos gets over 300 days of sunshine a year, and starts hotting up from April, when temperatures nudge up to 20 degrees. By July and August, when temperatures peak, the mercury can hit the mid to high thirties, and it can be over 20 degrees at night. That’s hot in anyone’s language, and some people might find it too sweltering to do much beyond sit and relax with a cold drink (which, incidentally, is what many people come to Kos for). How warm is the sea? The sea around Kos is beautifully clear, and beautifully warm. It never drops below 17 degrees – which is about as warm as the seas around the UK get during the height of summer. 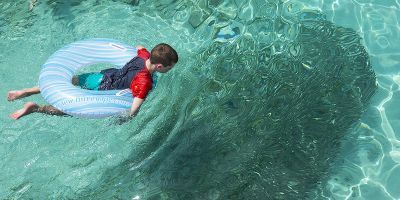 The sea will still feel a little fresh until the end of May, when it hits 20 degrees and becomes more refreshing, and the sea gets positively warm during the summer holidays, unbelievably reaching 25 degrees, or swimming pool temperature. The Dodecanese islands are among the most interesting places to sail in Greece because the winds can be a bit more challenging and unpredictable than elsewhere. The prevailing wind in summer is a North-westerly wind which zips down and around the Turkish coast, though sometimes you’ll find a strong Westerly wind in your sails, or strong Meltimi wind from the North at the height of summer. The remote location of the islands also means that the winds have time to build up a decent head of steam – it’s regularly Force 4 or 5 (11 – 22 knots) which is perfect sailing conditions (though be beware that there have been Force 8 winds in August before, and make sure you check the weather forecasts). After the sun sets, the wind tends to die down to a light breeze for a few hours before picking up in the early morning (so make sure your lines are tight before you go to bed or you’ll be back out on deck at 3am in your underwear to stop the unbearable clanking of the ropes against the mast). 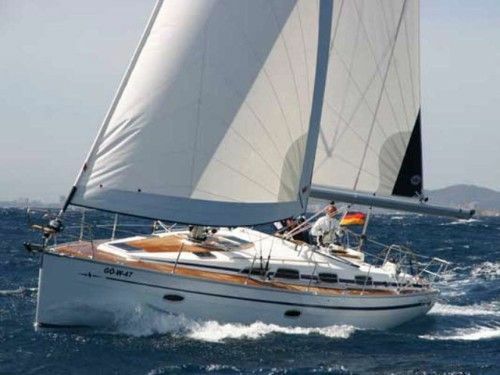 In winter, there isn’t really any such thing as a prevailing wind, and weather can arrive from almost any direction, including from the mountains North of the Med, the hot equatorial areas below it, and can be anywhere from Force 2 to Force 8, which helps to make for some more challenging sailing. What is the Current Weather in Kos? If you're off sailing in a couple of days, you might be interested to know what the 7 day forecast is - our handy widget below should give you a good idea, though once you're out there we recommend using windguru.cz. Kos is the fourth most popular place for tourists to visit in Greece, and is visited by over half a million tourists a year. They’re drawn by the rich mix of ancient history and culture, stunning beaches, great cuisine and super-hospitable hosts. 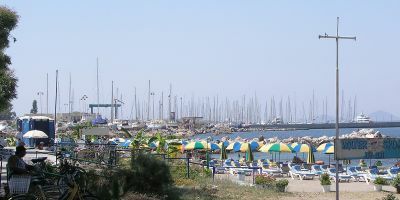 Some are even drawn to Kos by its reputation for a lively nightlife, for watersports, or, like you, for sailing. Being such a strategic island in the Med, the island has a long and exciting history, and the island is well documented in both Greek and Roman literature, with a contingent of people from Kos being present at the Battle of Troy. 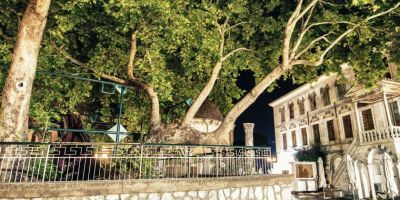 Kos is most famous as being the home of the legendary Hippocrates, the founder of modern medicine - doctors today still take a Hippocratic oath - and the tree under which he taught is remarkably still standing in Kos to this day. This is particularly remarkable because he died in 370 BC! Kos has castles and ancient monuments galore and the old town is a delightful place to stroll around - you can almost feel the history here. The island also boasts idyllic villages, stunning beaches, clear blue seas, excellent nightlife, and stunning scenery. Aside from the culture, most tourists head to Kos for the beaches - of which there are plenty, and almost all with golden sand and crystal-clear warm seas – and sunshine. There’s also hot springs, a scenic coastal road (favoured by cyclists), and a mountain to climb. Or you could just sit in the sunshine and relax. Just walking around Kos, you’re likely to see or hear some kind of street performance, and much of it will be traditional – from singing and dancing, to acting and mime, there’s always someone doing something in traditional dress. 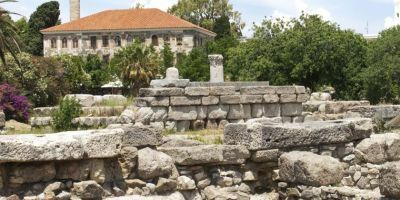 Much of it will also be part of the Hippocrateia festival, which runs from June to September, and aims to entertain the tourists and spread a feeling of goodwill and holiday bliss. Named after Hippocrates, obviously, the festival includes all sorts of performances, as well as workshops to engage tourists to learn the local dance routines, sculpture, or to hear more about classic Greek tragedies. You’ll spot stages being set up around town if you happen to be in the right place at the right time (they don’t publish their schedule online, so check with the local tourist office for more information). There’s also a wine festival in nearby Mastahari for a week in August, and separate Fish and Honey festivals elsewhere on the island too. Lithino – easily the best restaurant near the marina, this is a small family taverna which has been knocking out authentic home-made Greek food for as long as any of us can remember. The Meze or the lamb chops will give your tastebuds a treat, but everything is brilliant, great value, and not too far to walk (Archiepiskopou Gerasimou 1, Kos Town). Broadway – Another restaurant which is a little off the beaten track, but well worth seeking out. It’s not the cheapest place to get a Moussaka, but it is certainly the tastiest. 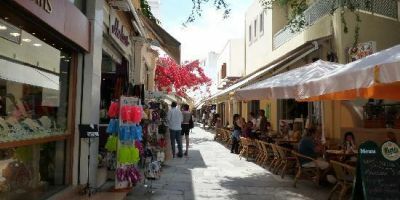 This is the place I would take my parents to impress them – and they would love it (36 Megalou Alexandrou, Kos Town). Italiamo – We’ve tried a decent number of pizza restaurants in Kos, and this is genuinely the best pizza in town. Except it’s actually just outside of the north side of the town – but their traditional Italian pizzas stone baked in a wood-fired oven are well worth the walk (76 Ethnikis Adistasseos, Kos Town). As the fourth biggest tourist destination in Greece, Kos is thronged by literally thousands of holidaymakers, all out for a good time. A fair number are in all-inclusive hotels, but they all tend to come out when the sun sets, and there is even a street in the old town which is nicknamed ‘bar street’ which is about as lively as you would expect from thousands of deliriously happy tourists on their holidays! Camel Bar – one of the more famous bars near the harbour and in the party area of town, you can get breakfast, lunch, and tea, then evening drinks, and finally dance late into the night. Then head there again for breakfast, etc… A lively bar if you’re in a party mood (13-15 Akti Kountouriotou Street). Sitar – a swish bar serving the best cocktails in town, overlooking the busy harbour. A brilliant place to spend a warm summer evening – though get there early if you want a seat, and be prepared to share a table (15 Fereou Riga, Kos Town). Hotel Koala ** – c. £30 for a double room – this is a reasonable hotel, but it’s located right next to Kos marina and it offers great value for money for the price. Rooms are basic but comfortable, and the price includes a continental breakfast, and there’s a swimming pool to help while away the hours. Triton Hotel *** - c. £60 for a double room – about 400m along the coast from Kos marina, this hotel is opposite the main town beach and has a great outside seating area for breakfast or dinner. Some rooms have balconies, and they also have a mix of suites for four to six people to share if you want to bring along the rest of the crew. Kos Aktis Art Hotel - c. £140 for a double room – if you like to travel in style, this four-star hotel is within 500m of the marina and will certainly do the trick. Their rooms are smart and modern, and the balconies with a sea-view are outstanding places to sit and ponder. The hotel has a private beach and fitness centre and people rave about the superb breakfasts and amazing cocktails. Kos Marina is based a short ten-minute walk from Kos town, a tourist town based around an ancient harbour, and with a very lively nightlife. The marina has a restaurant/bar, as well as a shop, chandlery and laundry facilities. Toilet and shower facilities are to a decent standard, and the marina is well sheltered from the prevailing winds. Kos is most famous for being the home of Hippocrates - the father of modern medicine and first aid - and is an excellent starting point to explore the Dodecanese islands. Kos town is full of smaller supermarkets and mini-markets, but you’ll probably want to head to a bigger store if you’re away for a week, plus the prices are cheaper. The nearest decent-sized supermarket is the Kritikos on Al Papanasrasiou, about 200m from the marina. It’s possible to get to Kos by boat from Athens or Bodrum (Turkey), but the easiest way to arrive is by air. Kos airport welcomes planes from across Europe, including some low-cost operators (though they often only fly there during high-season). 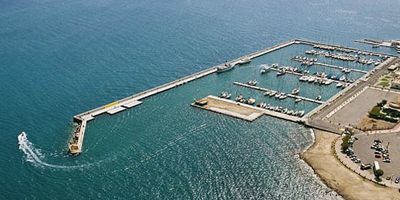 The marina is based in Kos town to the north of the island, which is about a 25 minute taxi ride away (we can help sort private transfers to/from the marina – just ask). There are public bus services which take you from the airport to Kos town, and you could walk or grab a taxi from there, but beware that buses are infrequent except in July and August (see the latest timetable), and the journey takes about an hour.